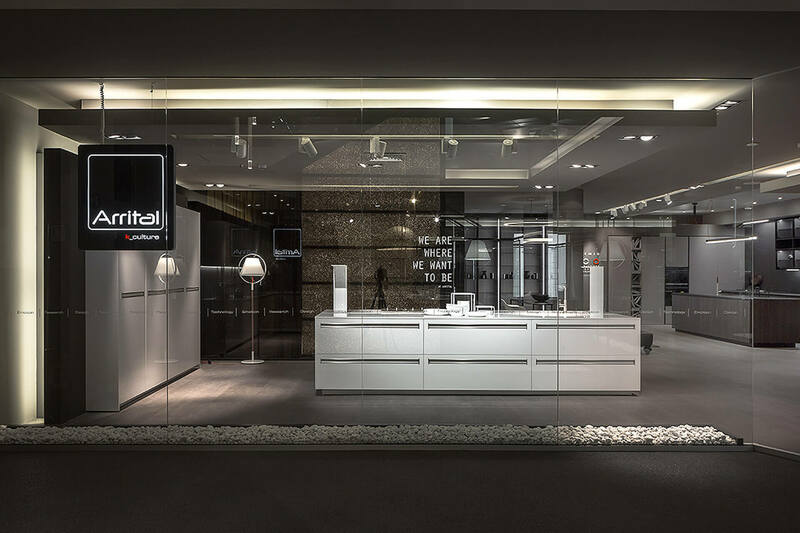 For Arrital, quality is a fundamental requisite: in its relations with partners and clients, in modern kitchens and in its approach to strategic and workflow planning. Constant research is intertwined with the most innovative materials characterised by practical and ergonomic solutions, where design formally encapsulates solutions. The global approach of the company and its represented brands has ensured the attainment of ambitious awards and certifications. One that stands out in particular is the exclusive 100% Made in Italy, confirming the company’s manufacturing strength and value, as well as the strict use of Made in Italy spun materials, ensuring not only safety but also traceability of products and certified components. For Arrital, quality is a choice in the name of client satisfaction, but above all a promise, a reputation confirmed in the products and brands that represent the company every day. Important investments in continuous innovation and processes of excellence, translating into high performance, time monitoring and constant quality. Arrital thus completely satisfies all the conditions making the Made in Italy brand unique and unrepeatable throughout the world, for example, manufacturing in Italian territory, the selection of first-choice materials, its manufacturing capacity and the use of exclusive models developed by Arrital. In perfect harmony with the policy of clarity and transparency adopted by Arrital in regards to its products, the company’s certification ensures its products are “traceable” following their purchase: thanks to the code reported on each item, it is possible to check the origin of the certified brand. Quality management is not an obligation to follow a rule. It’s the choice to work in a certain way. To adopt a company approach that places clients and their satisfaction at the centre. The company’s quality certifications are the manifestation of its investments aimed towards supplying products that consistently satisfy pre-established requirements. And of a brand policy committed to focusing on the continuous improvement of its services.